Join our Website Valkyrinllc.wixsite.com for access to a vast wealth of knowledge on mods, projects, games, and other Star Wars related topics such as the PC Port of Elite Squadron. 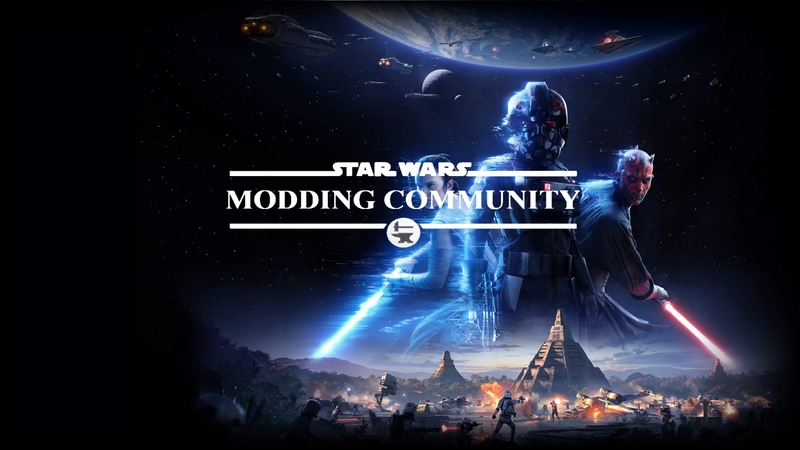 Head on over and join our community created by modders, for modders, while being ran all by modders in the name of helping teach others how to mod their favorite Star Wars games with an extensive amount of tutorials and real time help from established modders. Can't wait to see you all there! Happy Modding! 3. Launch the mod loader. 4. (Optional) Rename your mods. 5. (Optional) Add launch paramters under settings. If you use the steam version set them with steam. If you have an archive, extract it to a location of your choice. Take the subfolder with a three letter name (e.g. "BFX") and move it into the addon folder (a subfolder of your gamedata folder). This folder should contain a file with the name addme.script . Is it possible that you could do the same thing but with Galactic Conquest? 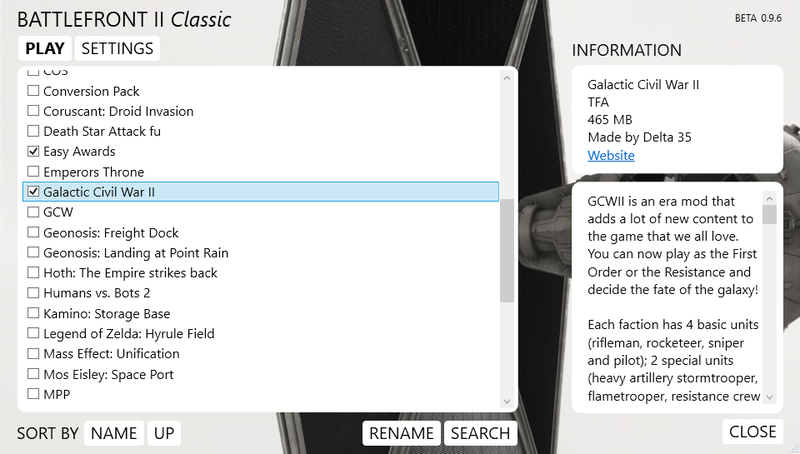 This would be helpful as you can only have 1 modded Galactic Conquest loaded at once. Thanks for your time. I would recommend downloading this. If you delete it it completely screws with your mods a they require a download all over again. is there a way to have the mod loader work in tandem with steam? That's cool but will you add sorting option? I have a folder called mods where I have "packs" of mods. Each folder is named after the mods it contains and there is an addon folder inside that I just cut and then paste into gamedata folder of the game and when I want to switch mods I just put addon folder back into the corresponding subfolder in the mods folder and choose another pack of mods. It would be great if your mod allowed to make it easier. For example instead of choosing all the mods from the main addon folder I could just select one of my packs and the mod would load them for me so I wouldn't have to keep copying and deleting it manually. PS. I know it's a little bit chaotic but I hope you will understand what I mean. However I would recommend to backup your mods first. Thank you! It does indeed work. The only problem I've encountered though is that the window is not resizable and it doesn't display full names of my modpacks. Is there any workaround for that? I'm afraid there is no solution ATM. Does this mod detect the conversionpack2.2?